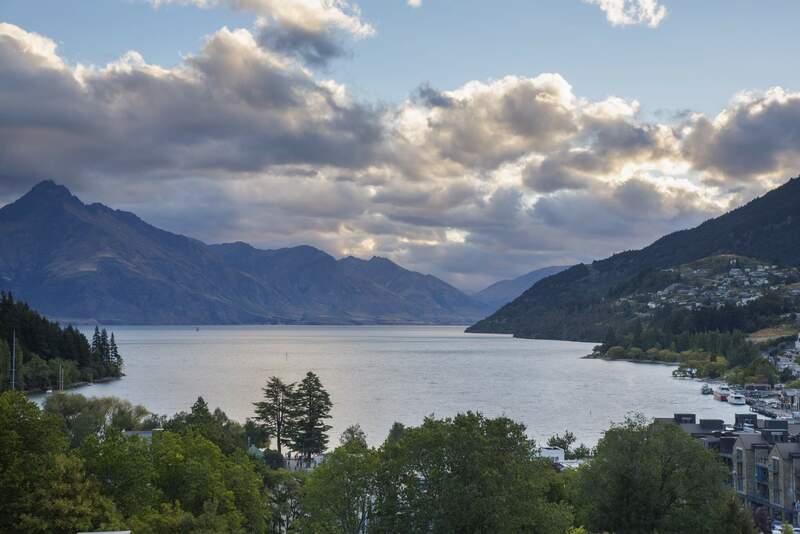 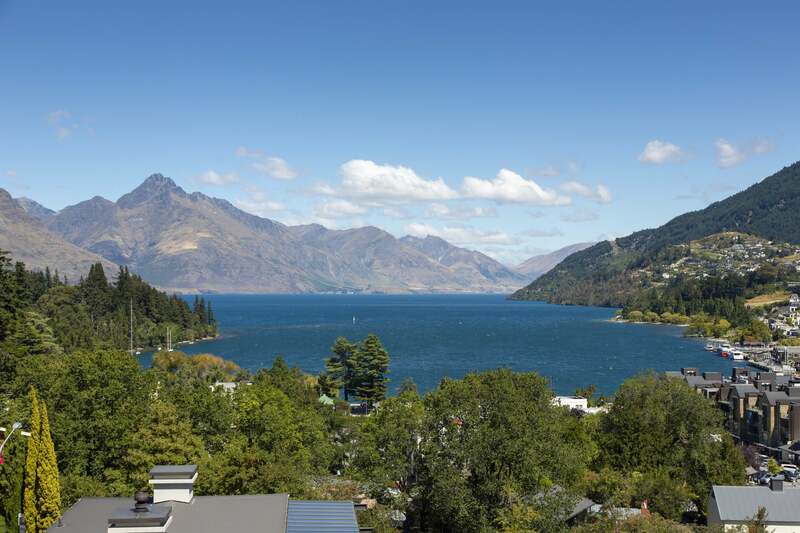 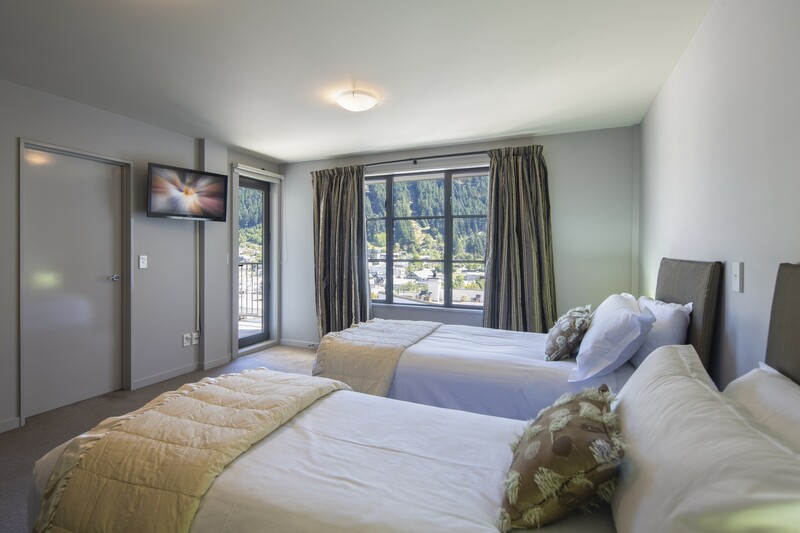 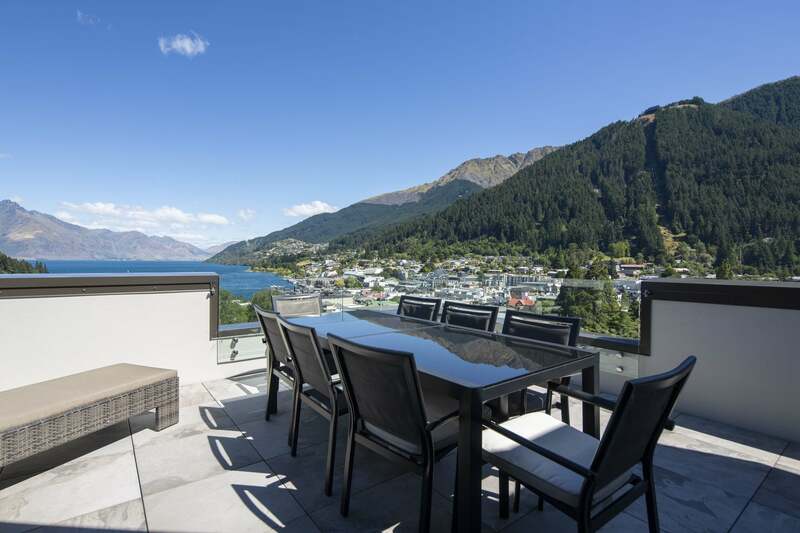 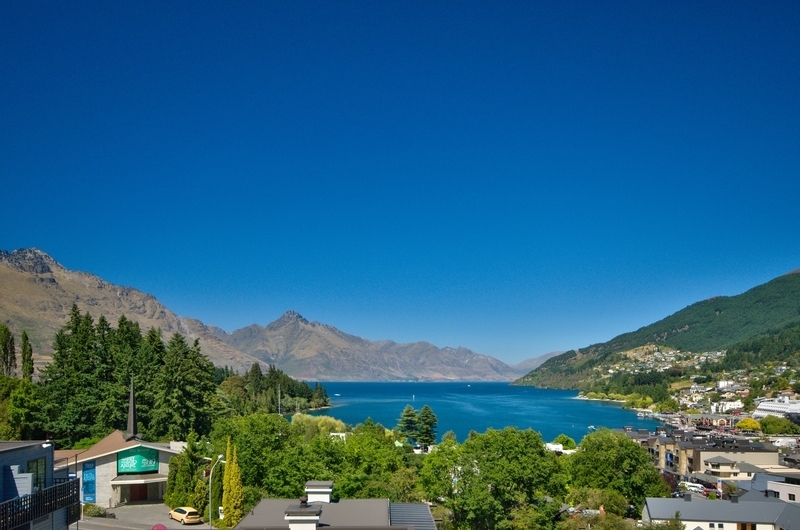 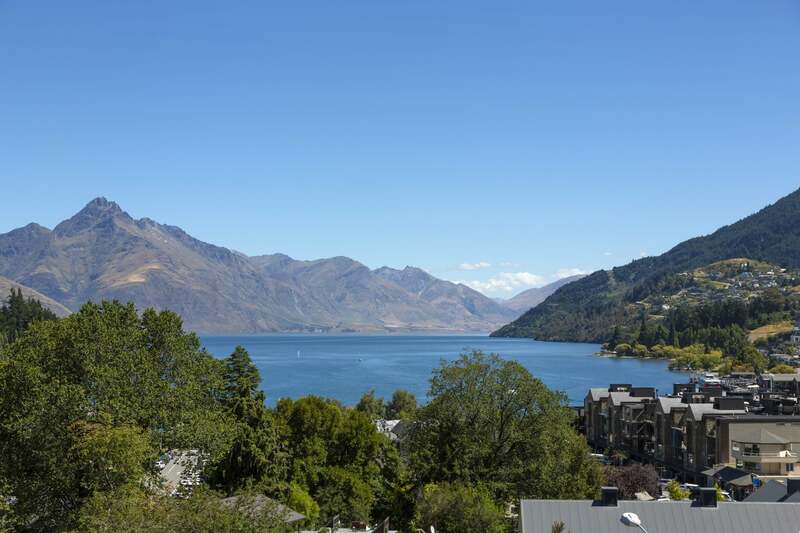 The expansive views over Lake Wakatipu and the Southern Alps, the tasteful décor with schist accents and the sun-drenched terraces all provide a luxurious backdrop for your stay in Queenstown. 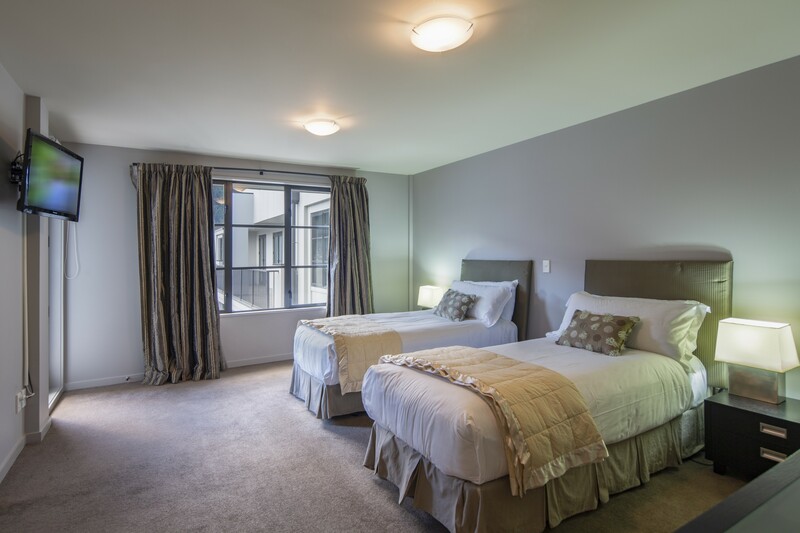 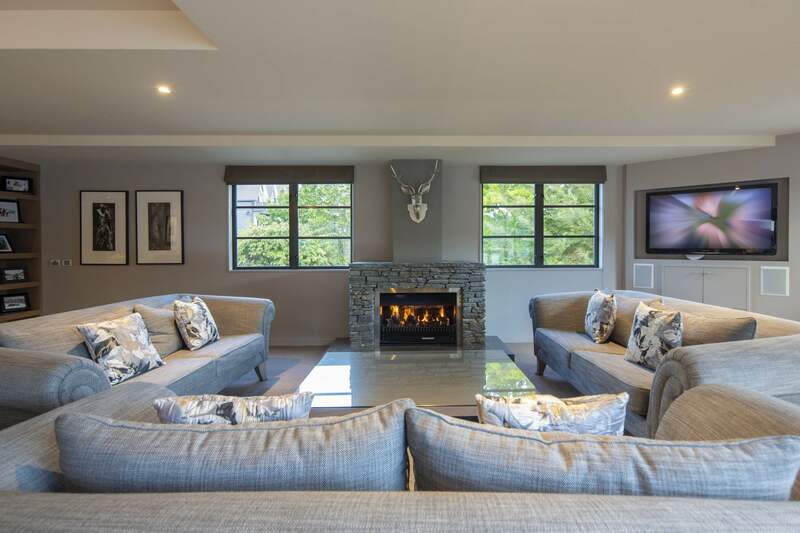 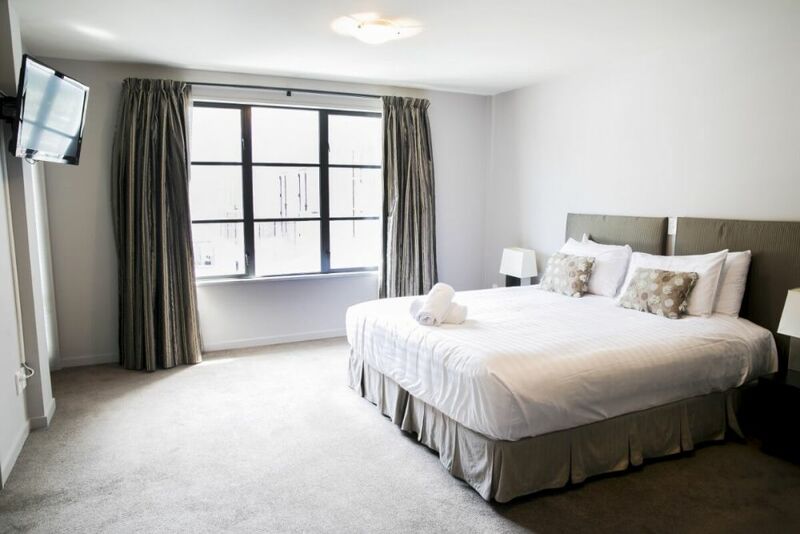 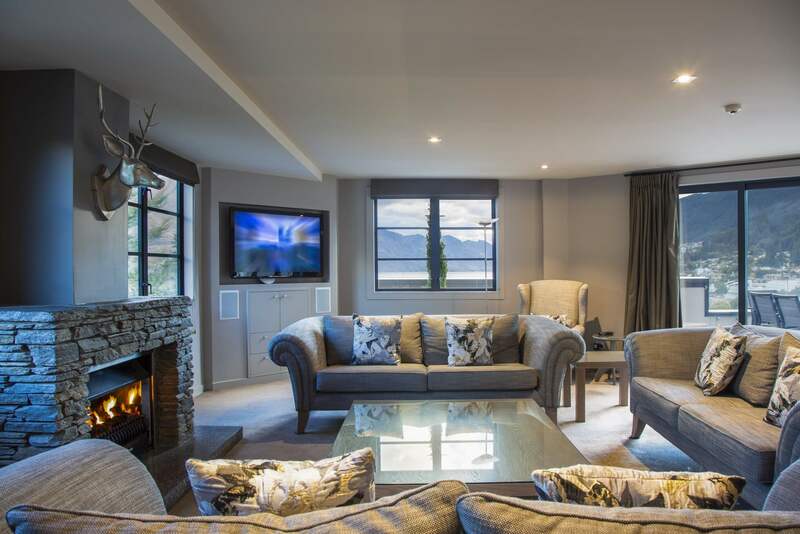 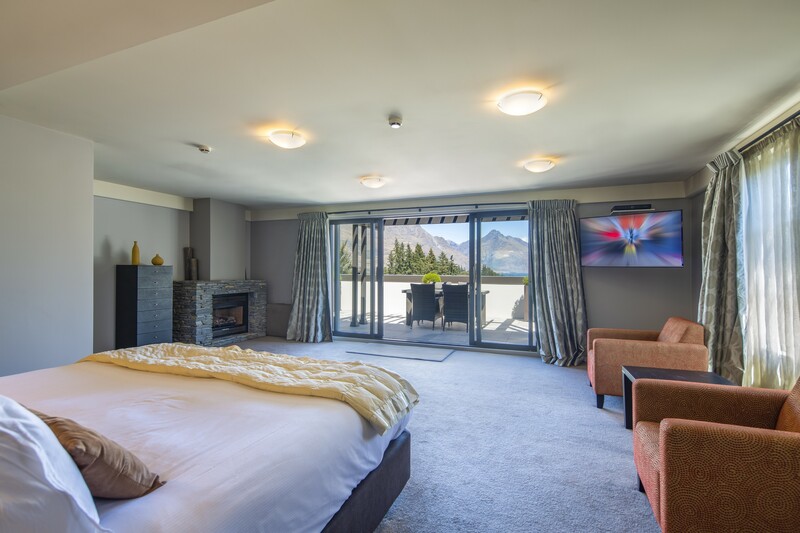 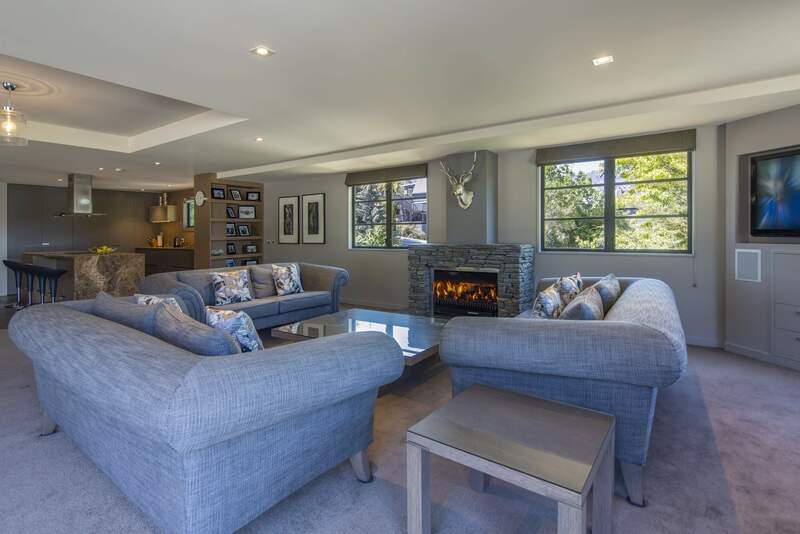 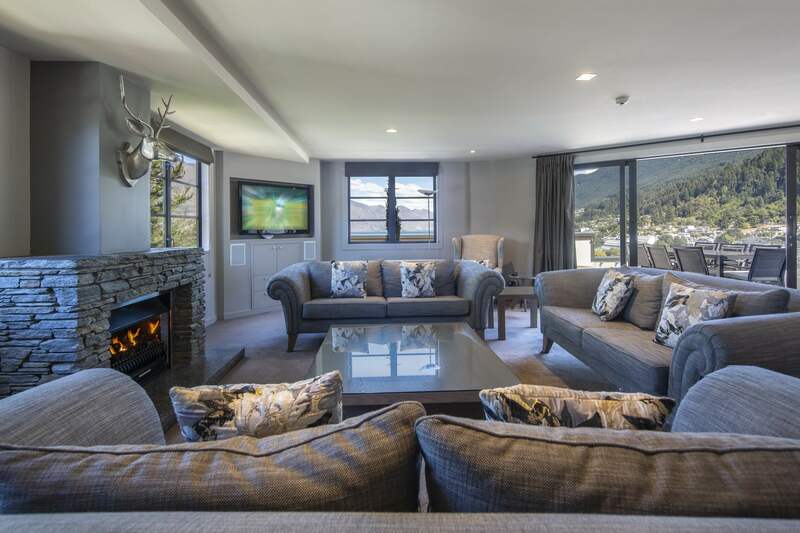 Majestic views from every window, stylish and comfortable furnishings throughout and gas fireplaces in the main living area and master bedroom ensure that your stay at The Remarkables Penthouse will be the highlight of your holiday. 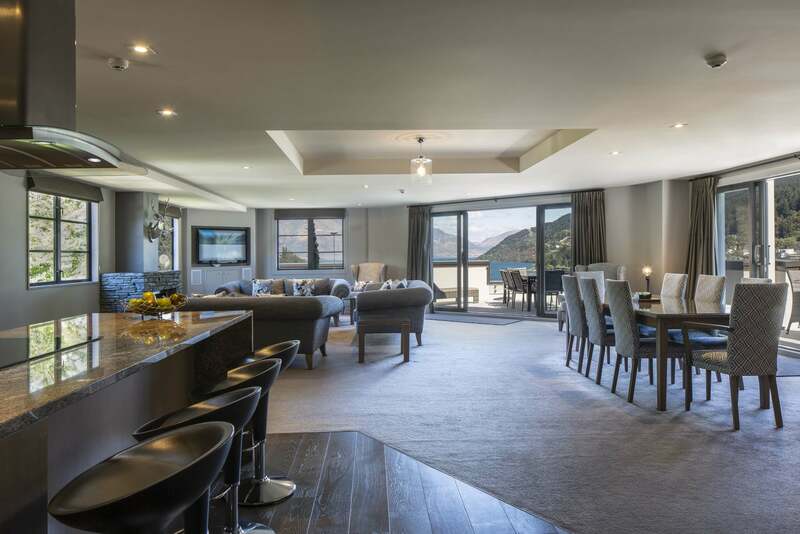 No need to feel cooped up…this penthouse suite boasts wide-open spaces and plenty of room for friends, family and guests to spread out and be comfortable. 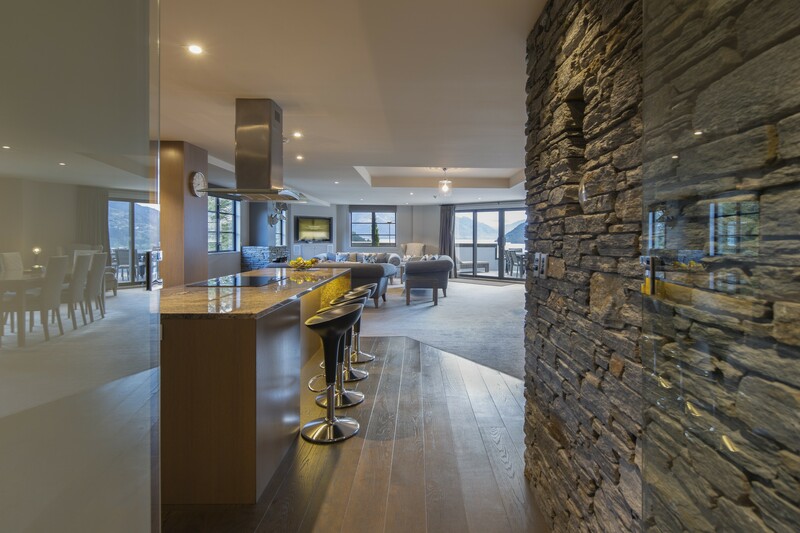 And the underfloor heating will keep you toasty even on the frostiest Queenstown night. 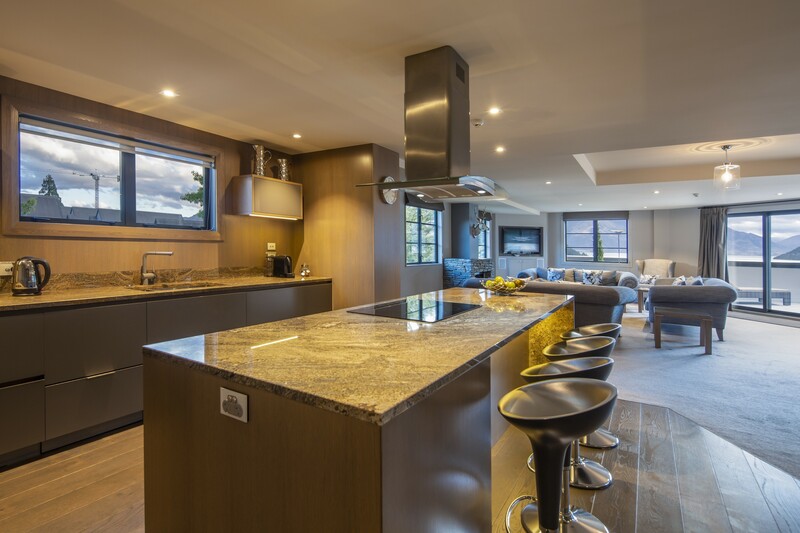 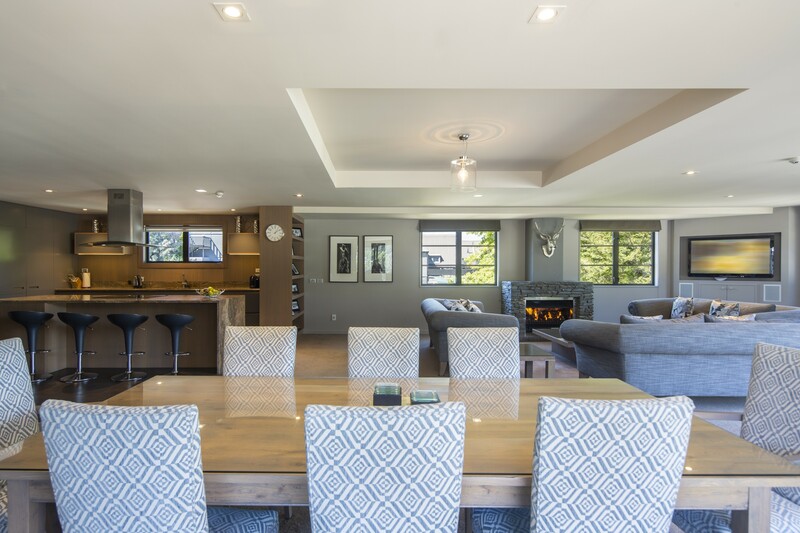 The gourmet kitchen – perfect for preparing dinner parties or whipping up midnight treats – features a chef-style gas stove, plenty of counter space and even views of the Remarkables mountain range from the kitchen windows. 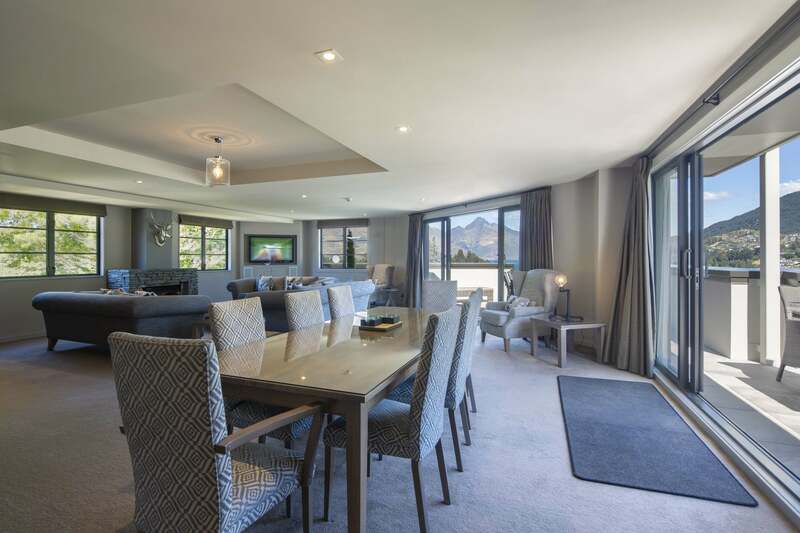 You and your guests can feast in the elegant dining area, enjoy an al fresco luncheon or afternoon wine on the balconies or gather informally at the bar stools in the kitchen area. 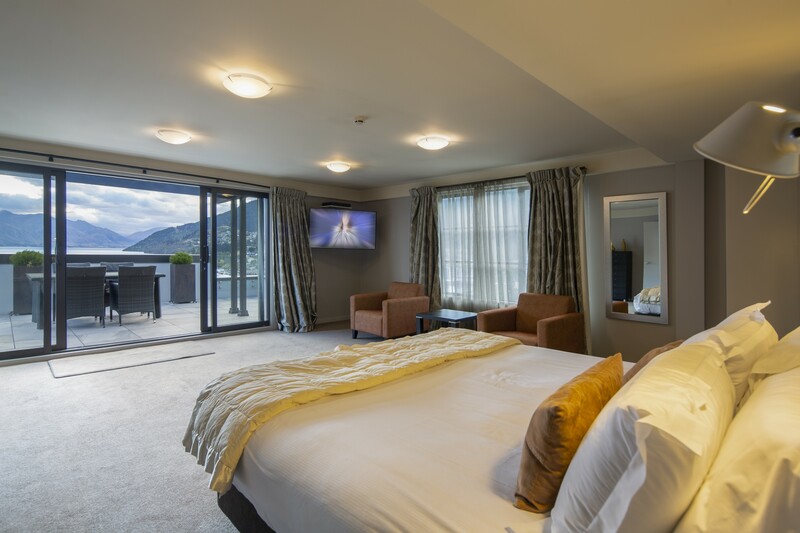 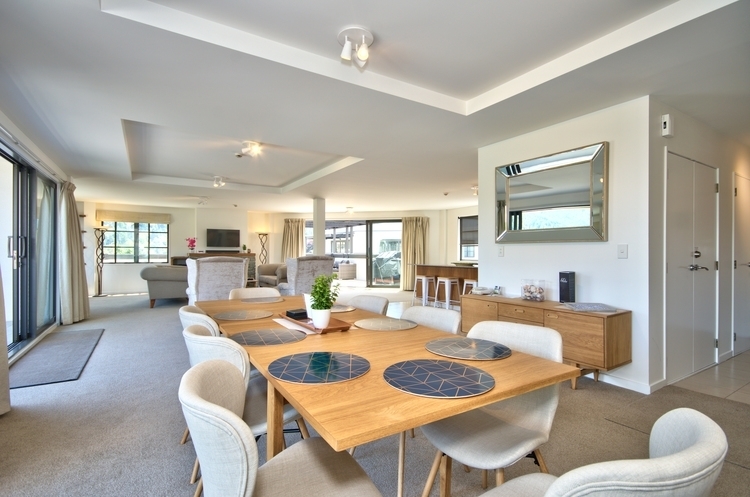 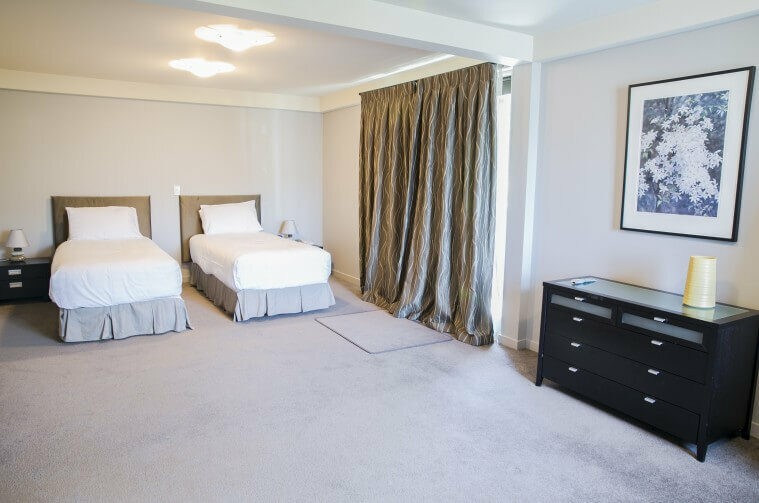 For your entertainment, the Remarkables Penthouse boasts wireless broadband, an iPod dock, a wide-screen high-definition LCD TV with DVD / Blu-Ray player (DVDs are available at Reception) and Sky TV. 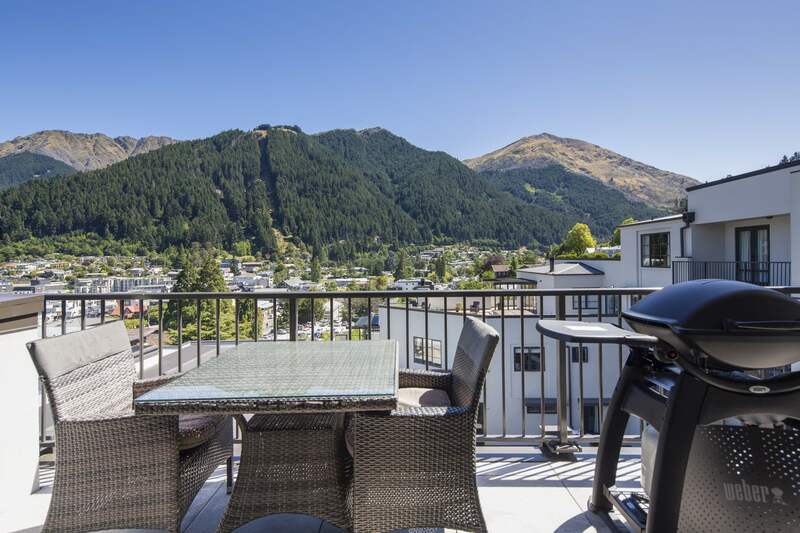 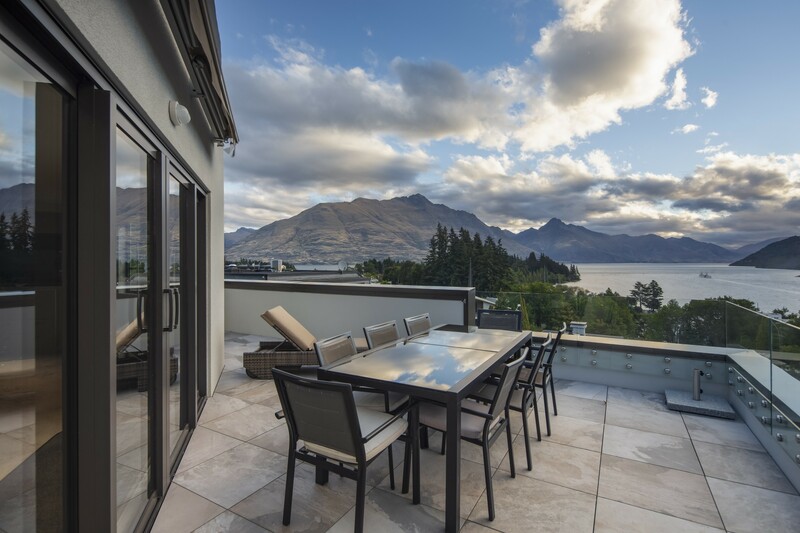 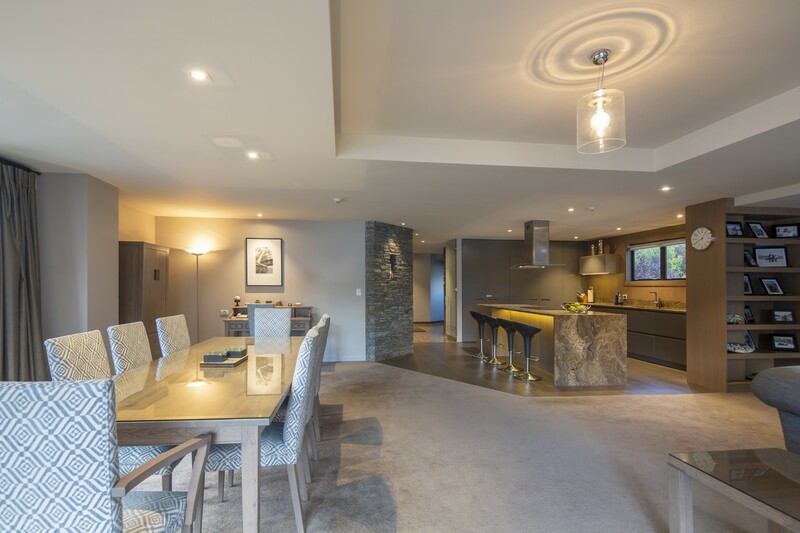 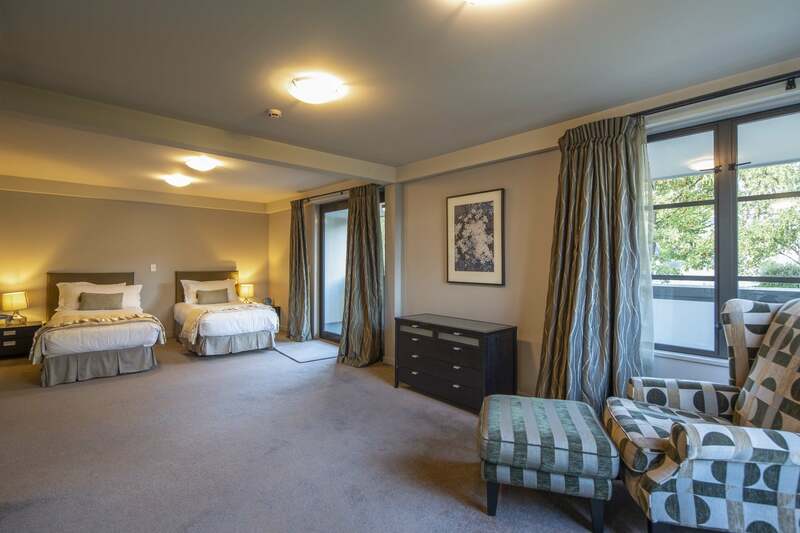 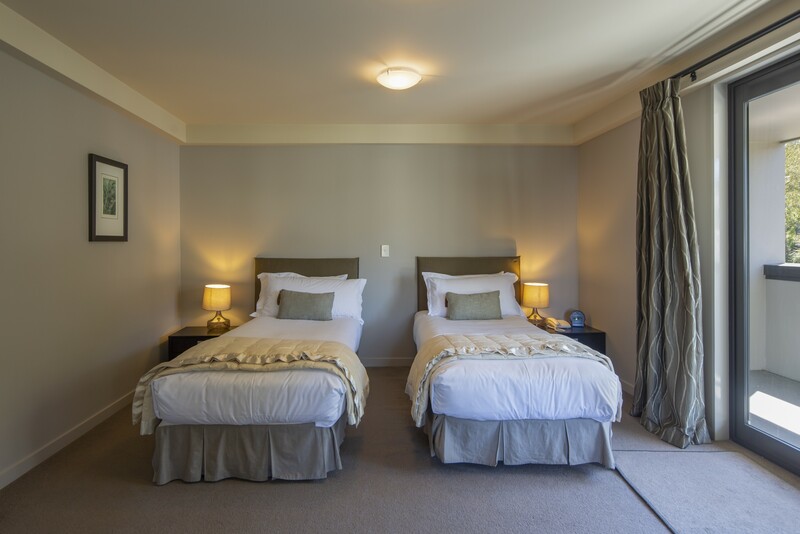 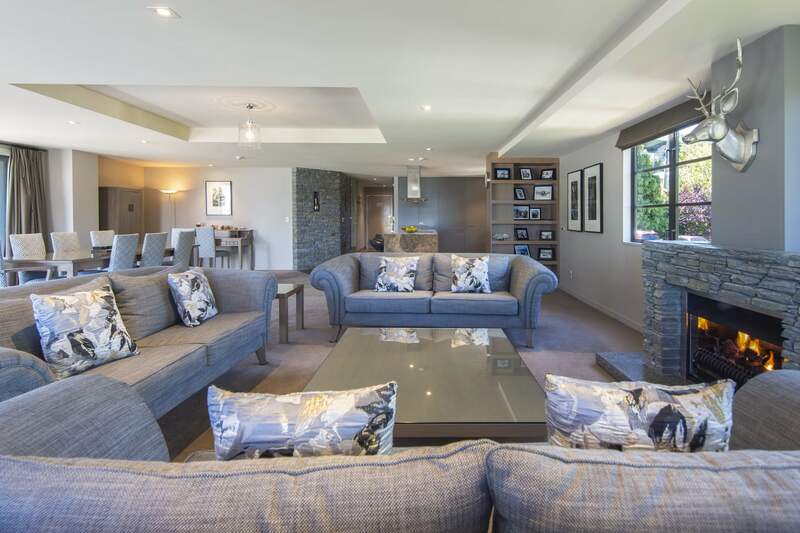 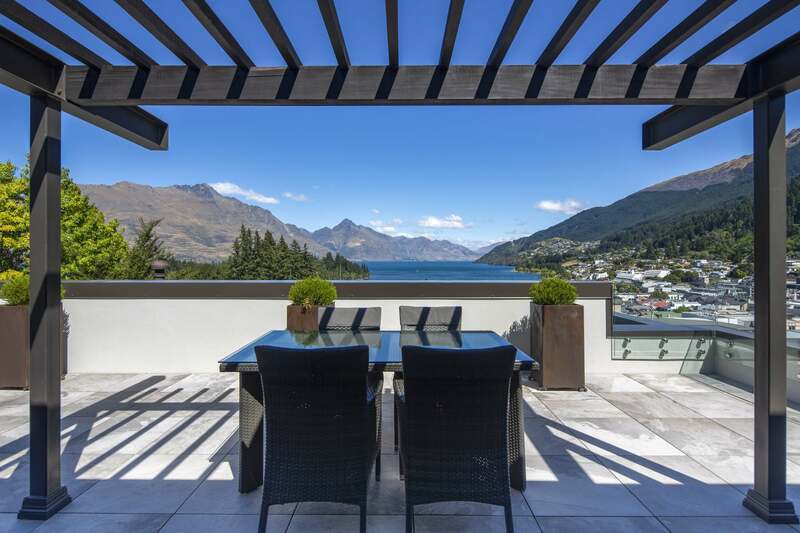 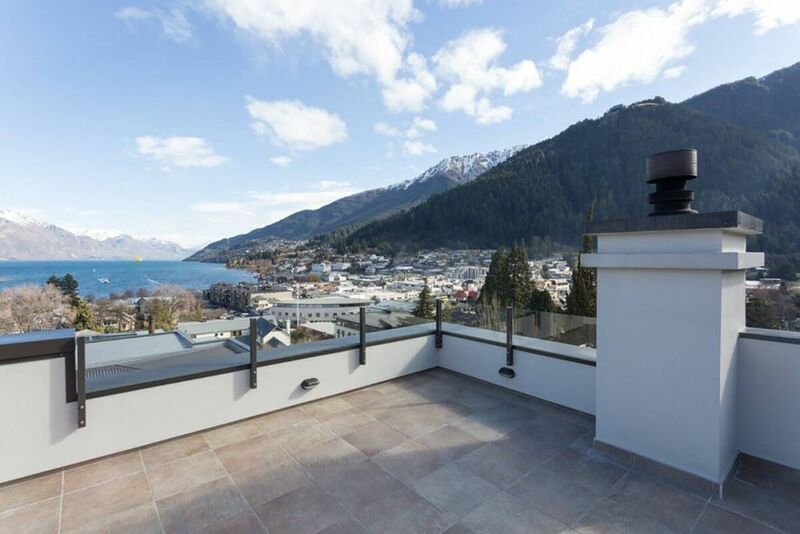 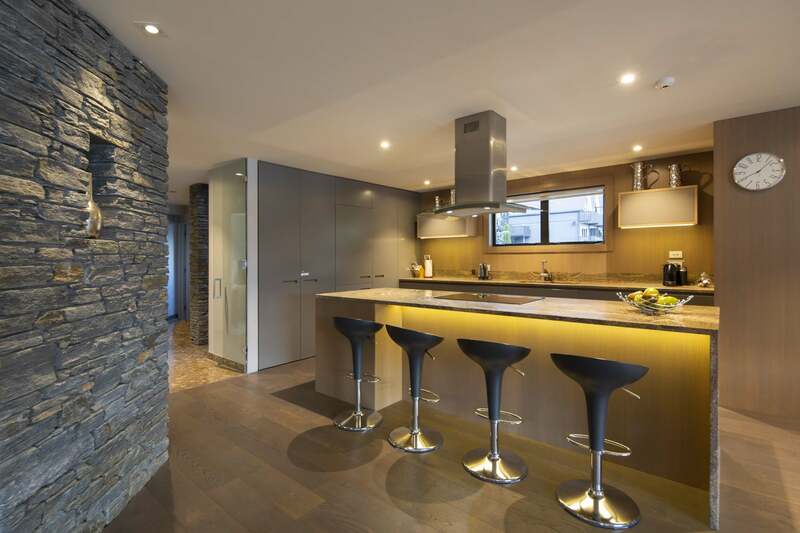 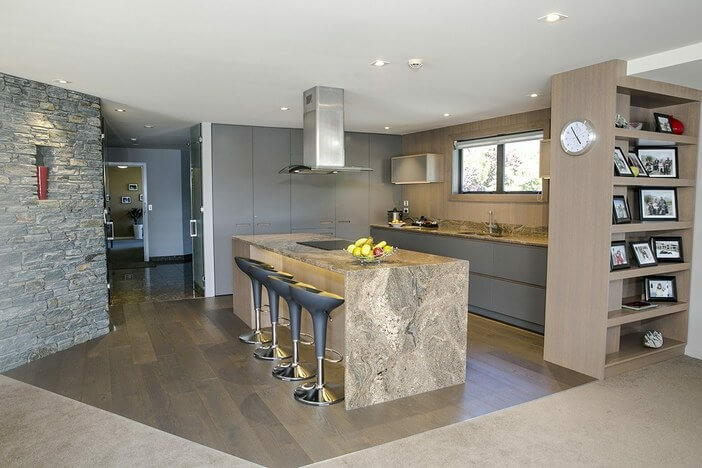 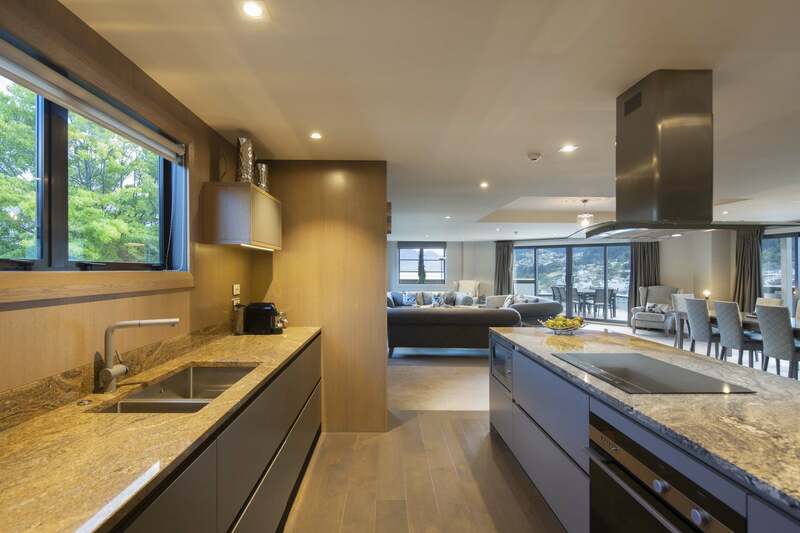 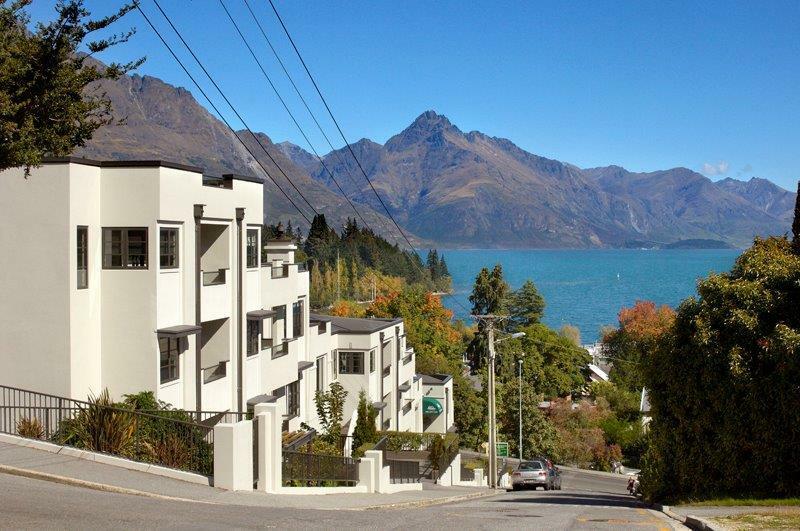 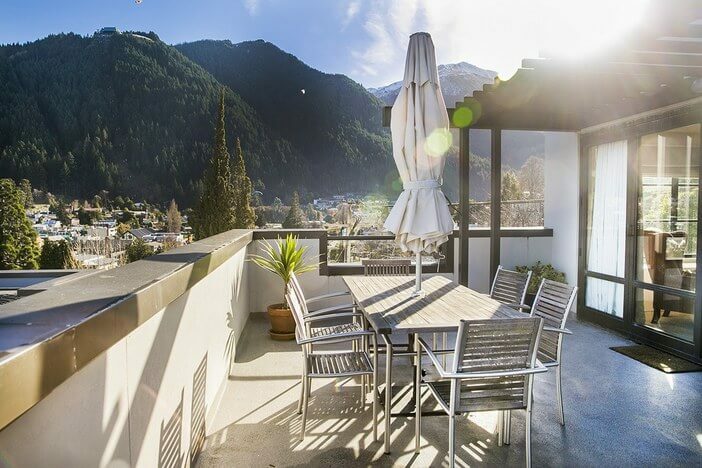 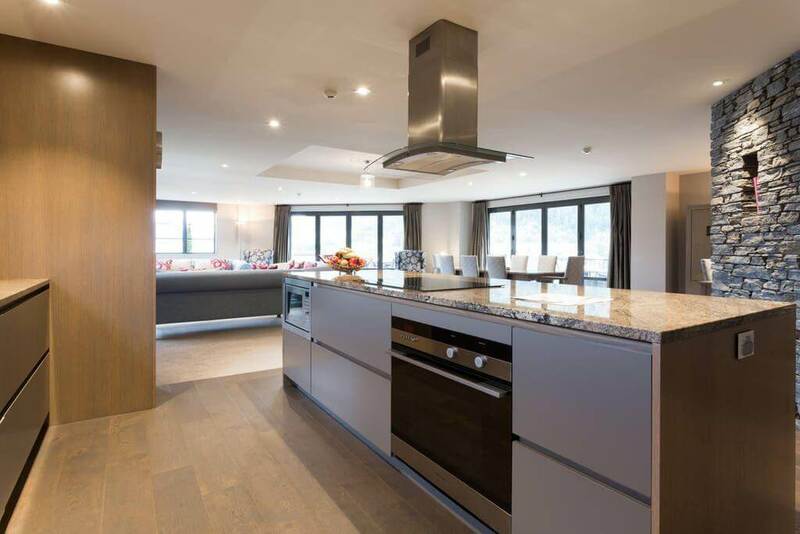 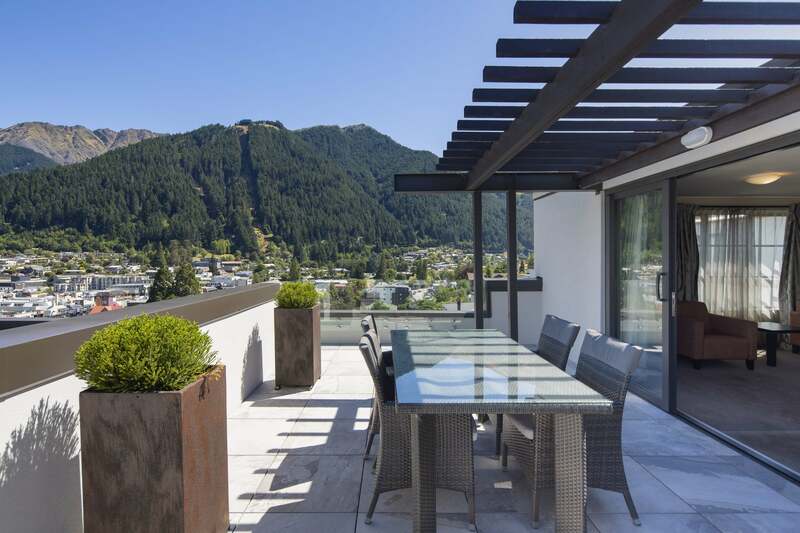 The Remarkables Penthouse at the Glebe…a memorable experience in luxurious surroundings.